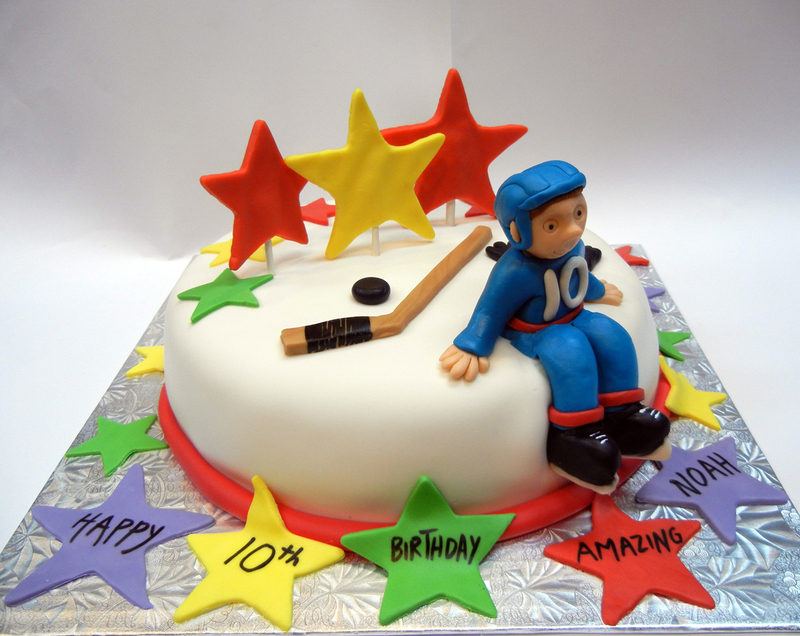 Here’s a hockey cake for young Noah who loves hockey but doesn’t follow any particular team just yet. Go Noah go! 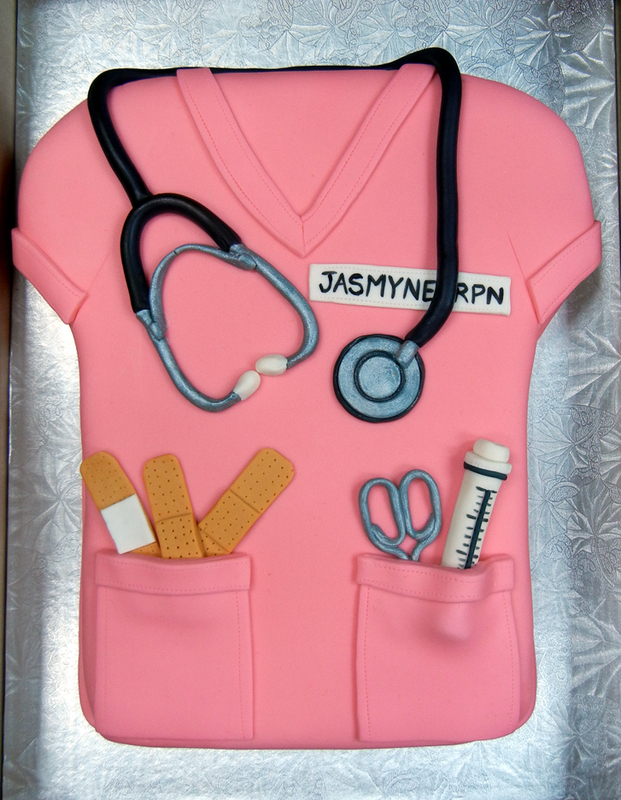 This cake was for a lovely lady who was celebrating a milestone birthday. 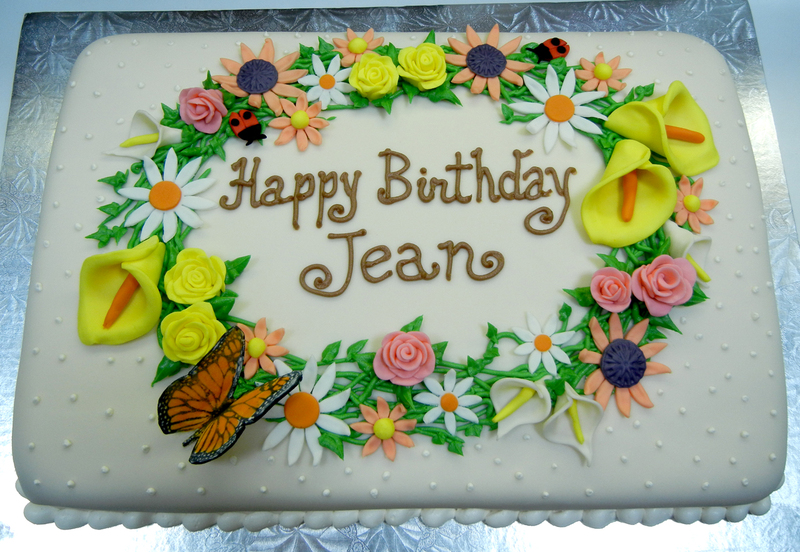 It was a large cake, to feed 60 or so party-goers so I had lots of room to make assorted fondant flowers and place them on a buttercream wreath. It kind of felt Victorian to me, with the off white fondant backdrop and a few chenille-type dots. Most importantly, the birthday girl loved it! Having been a graphic designer in my former life, I love the challenge of doing a logo cake. Cutting fondant with an Xacto blade is something I enjoy. I also happen to love the restaurant I was doing the cake for and really like the logo too, so it was a pleasure all round! 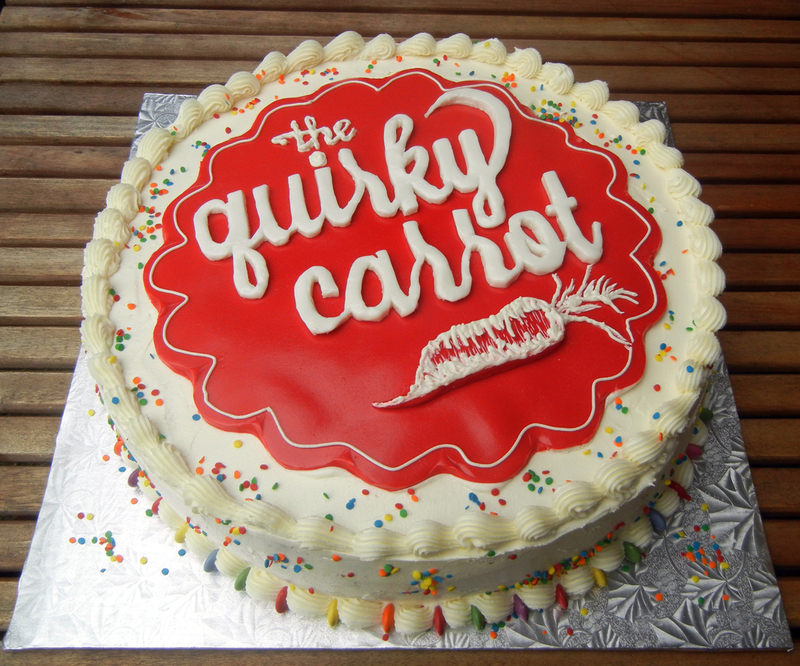 Spoiler alert: Just to keep everyone on their toes, it was chocolate cake, not carrot!